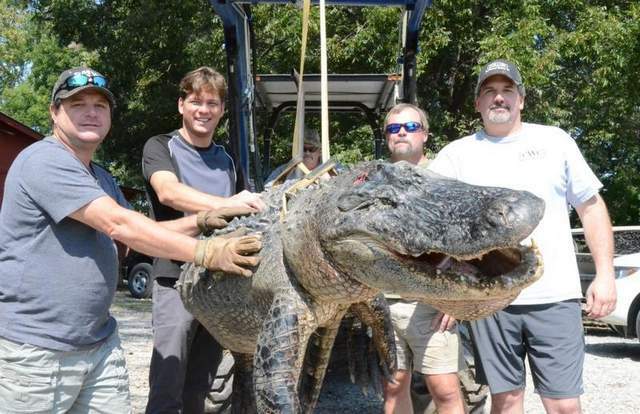 I am happy to say that my uncle (Jim Reed - far right), along with a group of hunters, harvested the new Mississippi state record for an alligator (13 foot 1.5inches and 697.5 lbs). While I am not big on hunting, I support my family and offer them a hearty congratulations. My uncle has been hunting gators for about 4 years now. 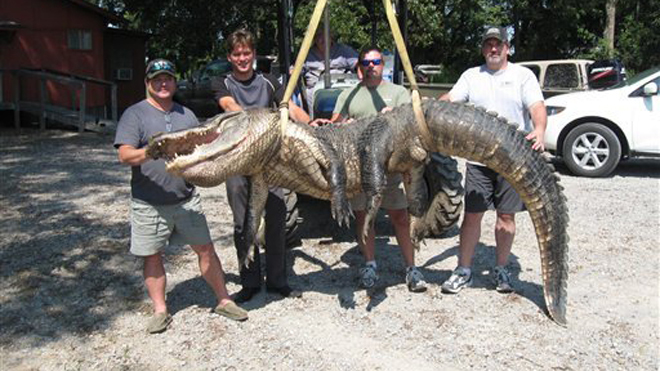 In Mississippi, gators are now moving into more populated areas, causing a threat to humans and other domesticated pets.